One Eternal Day: "One wants something to engross the attention without tiring the mind." "One wants something to engross the attention without tiring the mind." 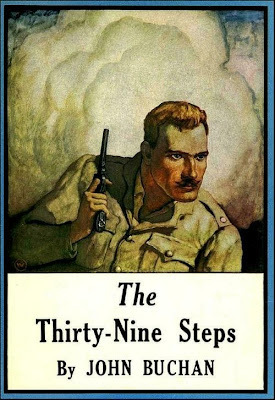 Three of John Buchan's Richard Hannay adventures are available, free, at ManyBooks.net: The Thirty-Nine Steps (1915), Greenmantle (1916), and Mr Standfast (1919). The only one missing is The Three Hostages. .... He (Buchan) was convinced that civilisation’s crust was thin; that hard and cynical men, operating on a global scale, were using liberal sentimentality as a stalking horse for activities which could eventually derail liberal institutions. He was not alone in thinking and warning about that, and there are many even today who would agree with him. Against those nightmarish possibilities, Buchan champions the things he thinks best in British civilisation – education, gentlemanly and ladylike conduct, honesty, an adventurous questing, a self-sacrificing spirit and plenty of fresh air, long walks and cold baths. Could it be that these unfashionable virtues are what accounts for his enduring appeal? 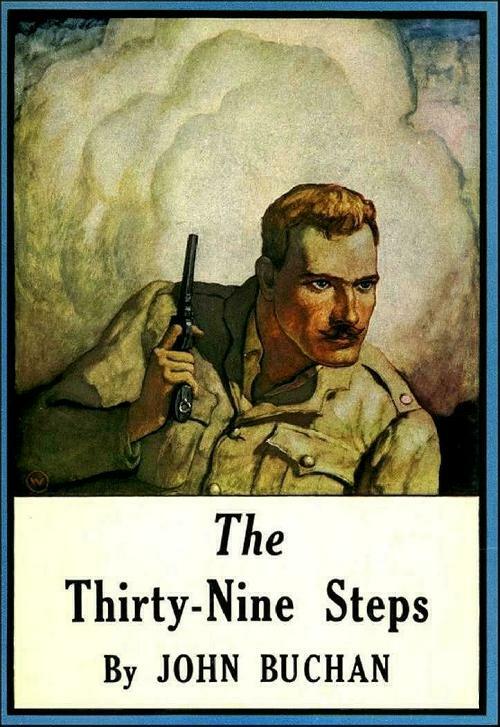 The Thirty-Nine Steps is more like a series of exciting episodes strung end to end than a carefully plotted tale. The speed is breathtaking, with each successive scene gripping the reader’s imagination, and with every place, actor and motive indelibly sketched. It doesn’t matter that the reader has no clue where he is being taken or, when he gets there, how the thing happened as it did. All that matters is that once you’ve started, you can’t put the book down. The free ebooks by John Buchan are here formatted for a variety of e-readers including Kindle.